It was when I had first started reviewing that Fiio reached out to me regarding their RM1; a quirky Bluetooth remote that demonstrated Fiio’s interest in innovation and variety in addition to traditional audio. The BTR1 is of the same kind, not a traditional DAC/AMP, but a hyper-portable one intended for portable and active use. 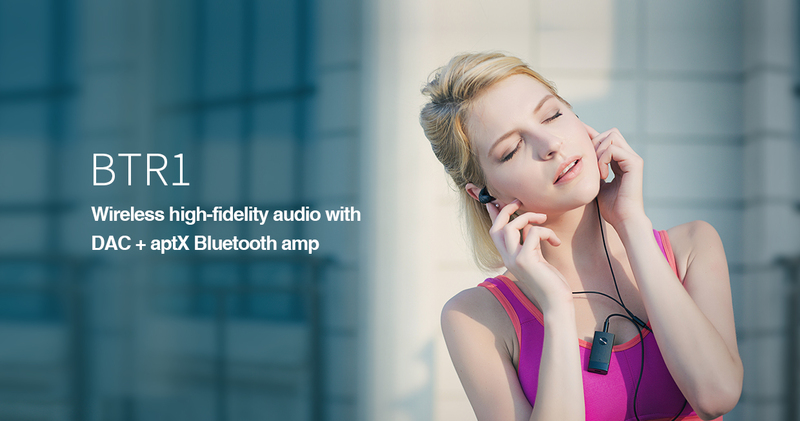 The BTR1 is, in essence, a Bluetooth receiver. But, what separates it from generic implementations is its implementation of the AK4376 DAC chip and CSRA64215 Bluetooth chip supporting BT4.2 and high-quality Apt-X. Ever since I moved to a jack-less smartphone, the HTC U11, I’ve been on the hunt for a practical solution to bring the port back. At first, I thought hyper-compact DAC/AMPs like the Cozoy Takt Pro may have been the solution, but the BTR1 offers liberation even these devices don’t afford. I can safely say that from my uses, the BTR1 is a real solution that even brings some advantages over an explicitly wired connection. We still don’t get anything revolutionary like BT 5.0. Rather, the BTR1 executes a simple premise with impressive refinement, and at a palatable $50 USD. 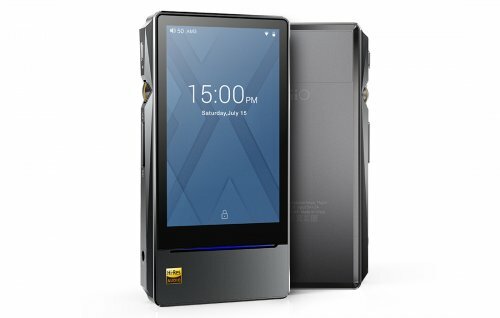 You can read all about the BTR1 on Fiio’s website here and purchased here. 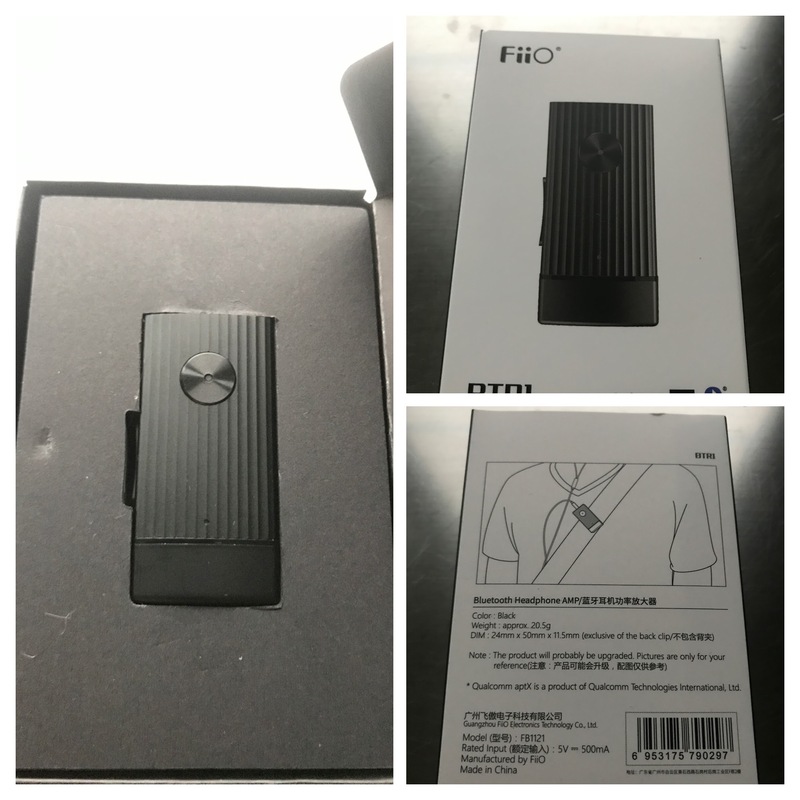 I would like to thank Fiio very much for their quick communication and for providing me with the BTR1 for the purpose of review. All words are my own and there is no monetary incentive for a positive review. Despite receiving the DAC free of cost, I will attempt to be as objective as possible in my evaluation. The BTR1 has a solid build that feels well-suited towards portable use. Its construction is mostly aluminium with some matte plastic to permit wireless signal to pass through. 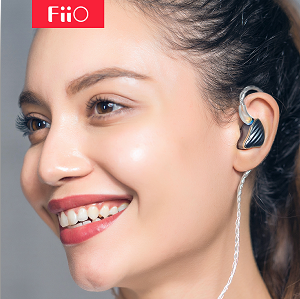 The DAC has a fairly simple design, with an undulating texture coordinating with the ripple design on the Fiio F9 earphones. Of course, it doesn’t have the level of finish as their high-end DAPs, with slightly sharp edges, but I never found this to present any issues during use. Otherwise, the BTR1 is very compact and feels solid in the hand. The control layout is straightforward, with a large illuminated power/multi-function button on the front and volume rocker on the left side. The buttons feel nice and clicky in addition to being easily distinguishable within a pocket. The bottom face houses the micro-USB charging port though the BTR1 doesn’t support any USB DAC features. On the back is a beefy spring-loaded clip that enables the receiver to be attached to a shirt sleeve, collar or waistband. The hinge is thick and sturdy, it held up well during my months of testing. The clip is also removable. It would have been interested to see an integrated cable winder, perhaps in a successor. The BTR1 functions similarly to most BT receivers. Holding the front-facing button powers on the device with a longer hold entering pairing mode. A status LED on the front face and audio chime denote function. In addition, double tapping the MFB button during use enables an inbuilt eQ, signified by the LED within the button glowing green. The eQ adds some soundstage processing in addition to a modest bass-boost. I preferred to leave it off as it sounded rather artificial and produced some channel imbalance, though it will no doubt suit some users. The two volume buttons also double as skip track buttons when held. Once paired, the BTR1 delivers an acceptable wireless experience. As aforementioned, its level of background noise is very impressive, but its wireless range is subpar. This isn’t noticeable when at home, where the BTR1 delivered reliable audio and a few metres of range. However, when in a public place with greater interference from external devices, I did find the BTR1 to cut out fairly frequently, despite being placed just centimetres away from my phone in the opposite pocket. The BTR1 was still very usable, but stuttering and cut-outs did occur too frequently to disregard. Of note, this problem also persisted when I was holding my phone, so cutouts were not caused by my body blocking the wireless signal. There are many variables that could have further contributed to my difficulties, however, it seems to be a fairly common issue online. Still, when at home and in quieter areas, the BTR1 had no issues and delivered low-latency on top, perfect for videos and films. With a 200mAh battery, the BTR1 achieves longer runtimes of around 8hrs, despite its powerful hardware. Though BT receivers with longer battery life can be found, I find the BTR1 a nice compromise between sound quality, size and longevity. The BTR1 has an integrated mic for calls. And though its top-facing 3.5mm plug is of the 4-pole variety, it does not pass through remote commands nor does it accept input from an inline mic, using the integrated mic instead. This can be an issue when the DAC is within a pocket. The BTR1 is a relatively low-gain source obviously designed for sensitive IEMs and portable headphones. It provides plenty of power to these devices but its meagre 15mW into a 32ohm load is not sufficient for high-impedance headphones and even certain earbuds and earphones. However, in return, the BTR1 delivers one of the lowest noise floors I’ve heard from a Bluetooth receiver of any kind, even suiting my more sensitive IEMs. Background noise is audible, more so than a high-quality wired source, but not disturbingly so and other interference doesn’t creep in during listening. Another specification that makes the BTR1 well-suited towards IEMs is its super low 0.2ohm output impedance that ensures no signature deviation when listening to low-impedance multi-driver in-ears. The BTR1’s low noise floor and output impedance are its main advantages over generic receivers, while its driving power is adequate for its intended uses. Of note, though the BTR1 does use a 4-pole 3.5mm plug, it does not support balanced output. Usually, I would expect a warmer sound from a low-cost portable source, but the BTR1 actually has a very balanced signature. Moreover, as its output impedance is low, it remains balanced regardless of driver-count or impedance. That’s not to say that the BTR1 is the perfect source, it’s not, and though it is tonally excellent, it does fall short in quality when compared to quality wired sources. Still, I can’t commend the BTR1 enough in this regard, few similarly priced sources are as transparent and balanced as this, yet alone Bluetooth ones. The BTR1’s low-end is nicely controlled and tonally balanced for the most part, but its finer qualities can lack slightly at times. Perhaps this can be chalked up to a limitation of Bluetooth or perhaps even the BTR1’s driving power. Sub-bass extension is average, lacking a little impact and rumble compared to wired sources. In return, the BTR1 has a nudge of additional mid-bass which grants it a little more punch without introducing much warmth or bloat. As such, the BTR1 doesn’t suffer from any sloppiness within its low-end and bass is pretty defined on a whole. Bass notes are larger as a result and I would characterise the BTR1 as a slightly slower source. This grants it a smoother and less aggressive texture; it’s well-detailed but doesn’t bombard the listener with foreground information. Mids are similarly well balanced though very slightly on the thinner side. This can mostly be attributed to a slightly attenuated lower midrange before a subsequent rise in the centre midrange. As a result, vocals are slightly forward in position though I found instruments to be accurately portrayed. Still, though subtle, its slightly thinner, more vocal forward character can sound bright when paired with already brighter in-ears. Otherwise, clarity is very pleasing and separation is enhanced. The BTR1 doesn’t have the greatest background detail retrieval due to a slightly higher noise floor in addition to good but not great resolution. However, the BTR1 finds nice synergy with a wide range of in-ears and sounds accurate in timbre. Highs are clean and clear, maintaining a respectable level of transparency. Lower-treble impresses in particular, with its neutral quantity producing accurately articulated notes; an instrument portrayal that is neither overly crisp and thin nor dull. That said, though accurate, the BTR1 does lack a little detail compared to wired sources, also a repercussion of its background hiss that masks finer nuances. Middle treble has a hair of emphasis, producing an airier presentation. The BTR1 doesn’t have the darkest background as a result, but it still sounds well composed. Extension is above average but nothing spectacular, producing acceptable levels of resolution. The BTR1 produces an average soundstage presentation. It is fairly width biased and its mid-forward nature does impact its sense of space. In addition, the BTR1’s background hiss and good but not great treble extension result in a vaguer outer layer. Imaging is still fairly accurate due to its balanced signature and separation is commendable. iPod Touch 6G: Audiophiles love to give Apple devices a hard time, but the iPod/iPhone is not a bad source at all. They barely hiss, have a low output impedance besides a select few models and sound mostly balanced if slightly bright. The BTR1 immediately hisses a little more than the iPod, but its signature is also a little more balanced. Of note, vocals are smoother with a little more resolution and it has more detail up top. The differences aren’t night and day, but I find the BTR1 the more ear-pleasing source overall. That said, users of sensitive IEMs may prefer to listen through the iPod/iPhone due to its lower noise floor. That said, though the BTR1 isn’t a huge upgrade over I devices, the difference is more sizable from Android devices, most of which have a high OI and a more heavily skewed sound signature. 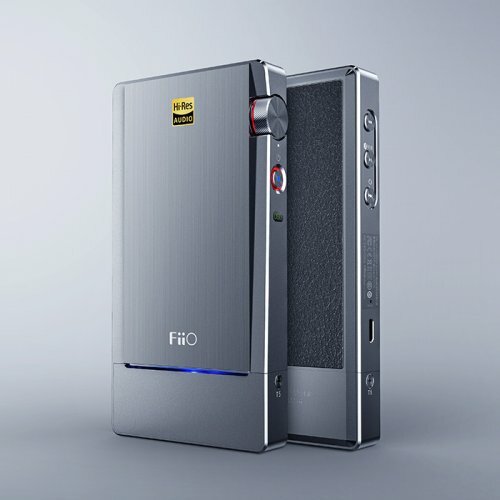 Fiio i1 ($40): The i1 has a similar function to the BTR1 but assumes a dongle-style form factor instead. It has the same output power and also boasts a low output impedance. That said, for $10 more, I find the BTR1 to be the more impressive device, offering the ability to go wireless/semi-wireless with a more neutral sound on top. The i1 does have slightly less background hiss, but its sound caters more towards those looking for musicality over accuracy. On the contrary, the BTR1 sounds more realistic and nuanced with an especially notable advantage with detailing due to the i1’s smoother nature. Avantree BT Transmitter/Receiver ($30): This represents a typical BT receiver one would find online. It also supports Apt-X and doubles as a transmitter. However, comparison between the Avantree and Fiio sources reveal that not all BT implementations are equal, and the BTR1 is inevitably the far better sounding device. 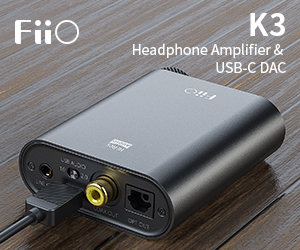 This mainly stems from the Avantree’s higher output impedance and loud background noise relative to the Fiio. It’s perfectly adequate for headphones which tend to be less sensitiv but is hardly ideal for IEMs. Its actual sound quality is fine, but it lacks the balance, detail and soundstage of the BTR1. The BTR1 is a gadget that provides a very practical solution to the omission of a headphone jack on modern smartphones. The amount of convenience afforded by having the player untethered from any earphones or headphones is liberating. In addition, the BTR1 sounds good, in some regards even great. Its low output impedance is also a huge plus for users of low-impedance IEMs, and it’s in this regard that the BTR1 can provide an immediately noticeable upgrade over a dongle or generic BT receiver. Still, the BTR1 is held back by its mediocre wireless range in addition to its modest, but mostly adequate driving power. I can’t say that it provides a huge bump in sound quality or power over a good smartphone with a low output impedance. However, considering that the BTR1 is a wireless DAC, the fact that it competes with wired sources is impressive. Moreover, it does so in a small form factor while maintaining decent battery life. There are a few other devices out there that seek to offer audiophile quality over Bluetooth, but none can match the Fiio’s value. Pros - Low noise-floor when connected directly to Shure SE535. Simultaneous Bluetooth connection to two devices tries to emulate Apple approach to their Airpods a little bit - I can have BTR1 connected to my iPhone and my iPad at the same time - which is nice. You can use the BTR1 when it is being charged and there is no interference from the charging process. Cons - Sadly, at least for me, the Bluetooth connection range and stability is not that great (probably due to all-metal construction). I hope they improve this in the next iteration of the device. Ordered on 2017-09-29 from AliExpress and arrived on 2017-10-03. Shipped via DHL, very fast for getting to Europe/Lithuania. Photos and one video below. Seems sturdy, most of it feels metal/aluminium. Bottom part, where micro-USB socket is located, is plastic. I guess you must have some plastic in order to be radio transparent for Bluetooth to work. Audio socket feels solid, when plugging in the 3.5mm jack, you feel quite satisfactory connection. No connection issues when plugged-in and wiggling/rotating the 3.5mm plug. ......... One big at the front round centre button, which acts as power on/off, play/pause, some voice call management functions and as audio effect on/off upon double-clicking when the BTR1 is on. ......... Two buttons on the side for volume up/down. Volume up buttons also functions as previous track when holding for a couple of seconds. Volume down button also functions as next track when holding down for a couple seconds. Holding both volume up/down buttons when BTR1 is on should reset the BTR1 (presumably). you have nice melodies when the BTR1 is powering-up (kinda surround powering up melody when sound is coming at first from left channel, then right channel and then from both). You get audio feedback when connected to some Bluetooth device. You have audio feedback when pressing buttons on the BTR1 itself. Also a nice melody when the unit is powering-down. Melodies are not those standard from cheap Bluetooth receivers. And not too ear-tearing loud - just right. Low-battery audio notification is quite annoying although not too loud. Since the device is almost all metal, the BT connection stability suffers. The range is not that great. Even having BTR1 in my front-left jeans pocket and my iPhone in back-right jeans pocket, I get an occasional BT connection packet drop. Having BTR1 and iPhone farther away without direct line of sight makes the connection even worse. BTR1 BT connection stability is quite sensitive to the orientation of BTR1 relative to the iPhone and direct line of sight. 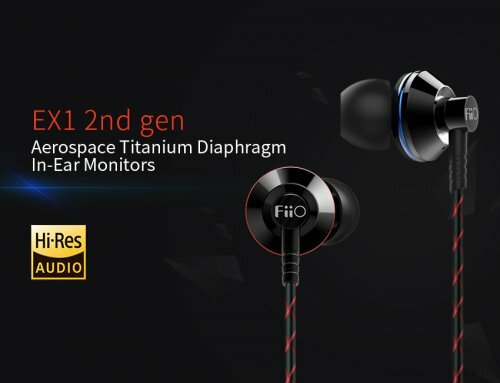 Maybe FiiO representative could tell us the position of the internal Bluetooth antenna, i.e. at which end of the device it is located (either at the micro-USB socket side or 3.5mm socket side). Supports simultaneous active Bluetooth connection to two devices: pausing playback on first one and starting playback playback on second one you hear sound from the second one. And vice versa. Neat! When the BTR1 is being charged, you can use it for playback. And the charging process does not add any additional distortions to the sound quality (at least I did not notice any). It seems it is according to the specification. Of course, it highly depends on how loud you are listening and what impedance your headphones are. Low-battery audio notification comes up at 20%. It is quite annoying although not too loud. I got around 15-20 minutes of listening with Shure SE535 when I got the low-battery warning. I used BTR1 connected directly to Shure SE535 (with stock Shure cable) and BTR1 connected to iPhone 7 and Spotify 320 kbps tracks. Firstly, the volume control from BTR1 buttons controls the volume on the iPhone - there is no independent BTR1/iPhone volume controls. Since SE535s are quite low impedance and quite sensitive, I tried the noise-floor test first. And from my first impressions I can tell that the noise-floor, when on the lowest volume setting in a completely silent room, is very very very low, almost not-noticeable. You have some high pitch noise superimposed on the playing sound - the high pitch noise follows the sound signature of the actual playback. On higher volume settings I practically cannot hear the noise. When pausing the playback you can hear for a short moment the noise-floor until the BTR1 output stage is completely turned off. I don't have much experience with other DACs/AMPs. I can only compare between the direct connection to iPhone (via the measly Lightning-3.5mm adapter) and listening via BTR1. I can tell that the sound quality is improved when listening via BTR1. The direct to iPhone connection now seems a little muffled, like somebody has placed a cover on your music. When listening via BTR1 you feel more openness and music seems more alive. To me it seems a good improvement in sound quality from such a small device. The sound effect, when double-pressing the big button, seems to add 3D sound effect. But via IEMs it does not seem to add anything of value to listening experience (at least to me). You get a battery status indicator near your clock at the top and also a battery indicator in the Widget. Disconnecting the audio cable from BTR1 pauses the playback on the iOS device. 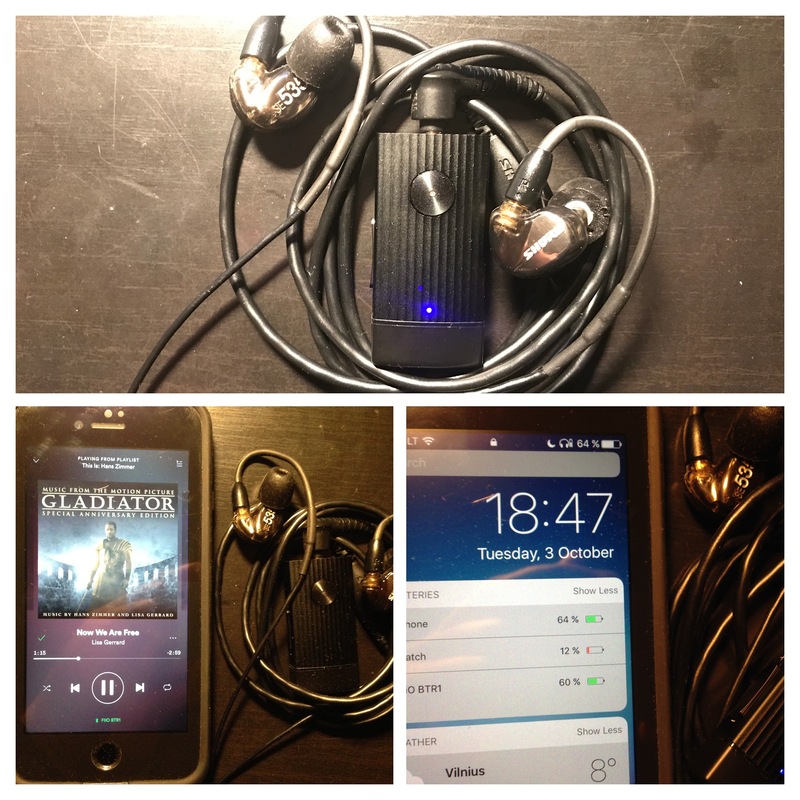 I am happy with the device, especially with the low noise-floor when connected to Shure SE535. Sadly, at least for me, the Bluetooth connection range and stability is not that great (probably due to all-metal construction). I hope they improve this in the next iteration of the device. All in all a competent device to pair with quality IEMs. Thanks FiiO for a great device. The newer btr1k is a big improvement.